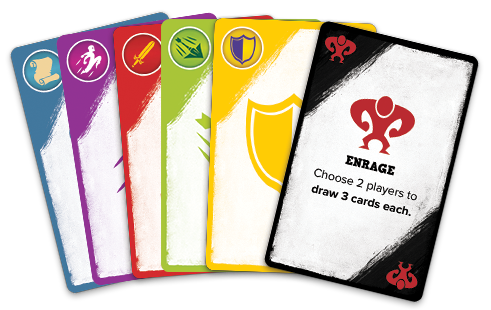 5-Minute Dungeon is a chaotic, co-operative, real-time, card game. Work together to defeat the dungeon in only 5 minutes! Keep up to date with 5-Minute Dungeon! You’re all in it together—either your party defeats the dungeon and moves onto the next one, or you all perish! Take on the role of a Hero. 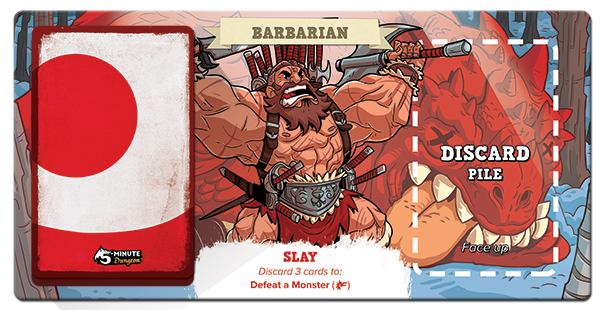 Each Hero has their own unique abilities and cards, along with a common pool of resource cards. 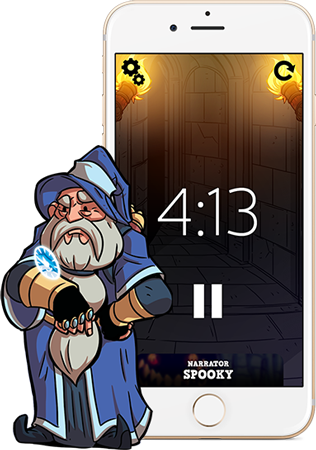 Each hero has a special ability that is shown on the bottom the player mat. As a team, using these abilities at the right time can be the difference between success and defeat. Most of the time you can defeat a Dungeon Card by matching the symbols on the card. 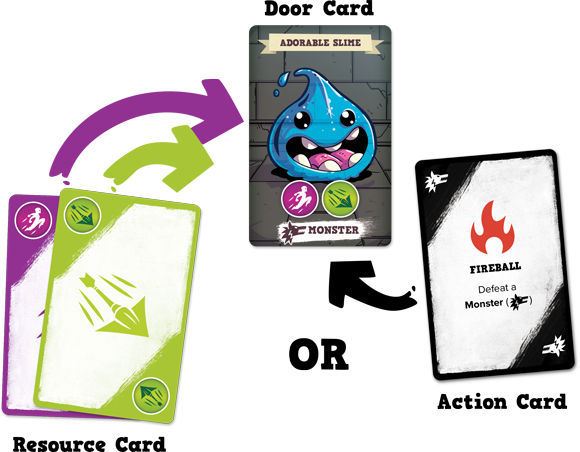 Sometimes, though, you'll want to use an action card, like Fireball, which can instantly defeat a Monster. Not surprisingly, there are five dungeon bosses. 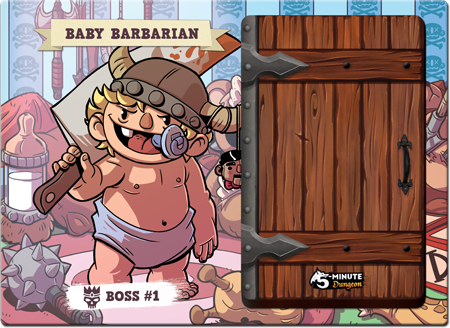 First you'll encounter the adorable, but terrifying, Baby Barbarian. But to reach him, your party will first have to deal with the 20 Door Cards in your way, each representing a new challenge you must face. Once you take down the baby, there are still four more bosses to tackle. 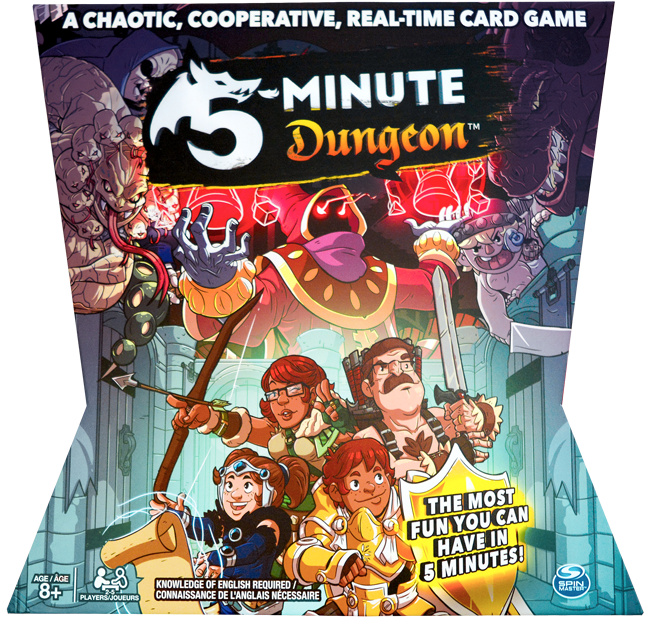 In 5-Minute Dungeon your team will only have five minutes to defeat a dungeon. That means defeating a number of Dungeon Cards and ultimately besting the dungeon boss. To help you keep on track, we've created a timer app for you to use that manages the game clock and let you know when time's running out. And since you are playing in five minute rounds, you can play a few rounds, break for lunch, and then pick it up later to continue the adventure. Download the timer app below!